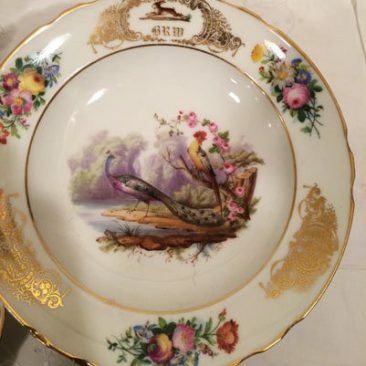 Today, I would like to talk about all the antique porcelain companies that made beautiful unique antique porcelain. 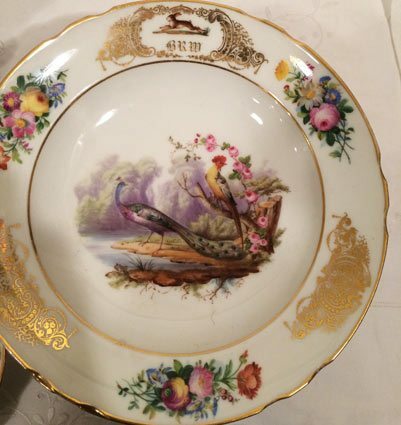 Unfortunately, many of these antique porcelain companies are closed now. 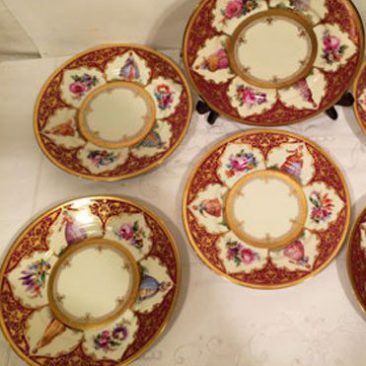 In the late 19th century through most of the twentieth century, fine antique porcelain was sought after and each dining room would have beautiful antique porcelain and crystal stemware. 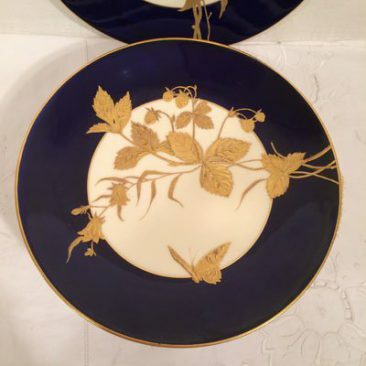 Each antique porcelain company had extremely talented artists who painted and gilded on the antique porcelain pieces. 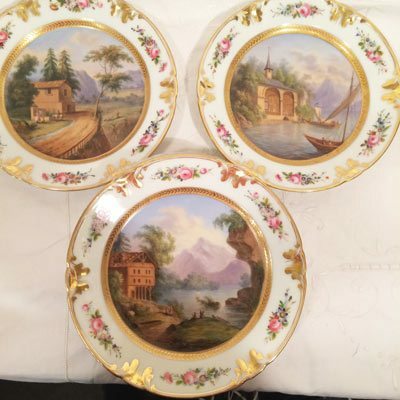 Some of the artists specialized in painting flowers, other artists painted marine scenes, others painted fish, birds or wildlife while others specialized in the gilding of the antique porcelain. 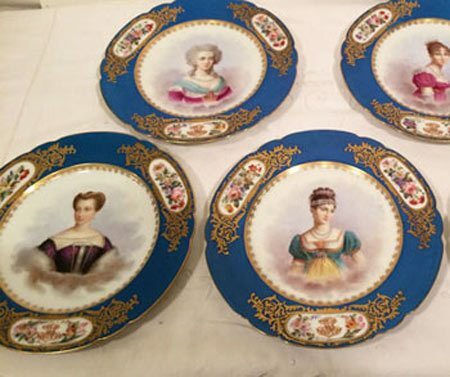 Many of the sets of plates or vases had different paintings on each piece. These artists spent their whole life painting for these antique porcelain companies, and became well known for their artistry. 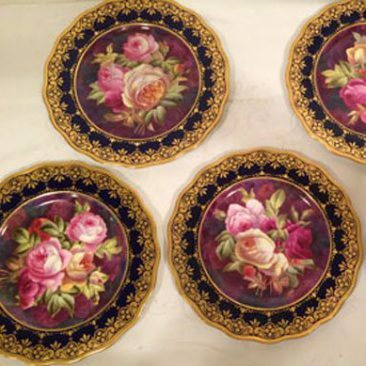 Now, many of these antique porcelain companies have closed like the English companies like Minton, Coalport, Wedgwood, George Jones, Royal Worcester, etc. 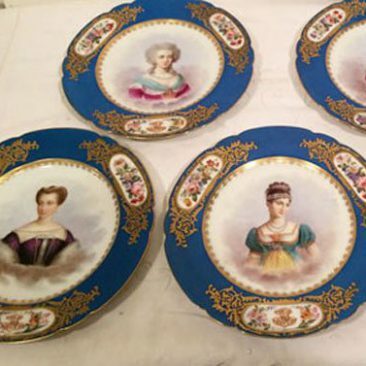 It became too costly to pay artists to paint and gild the beautiful hand painted porcelain pieces. The gilding decreased, as it was too costly to use the real gold to gild the antique pieces. 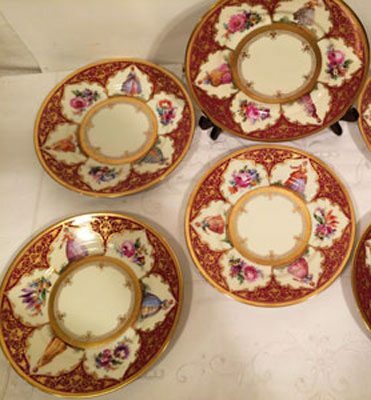 However, there are many fine porcelain companies still in existence like the German companies Meissen, Nymphenburg and KPM , the Hungarian company Herend, the French porcelain companies like Limoges and Sevres and Royal Copenhagen from Denmark. These companies still have artists that hand paint their dinnerware. We are very lucky these porcelain companies still exist and I hope that they prosper and are successful in the future. 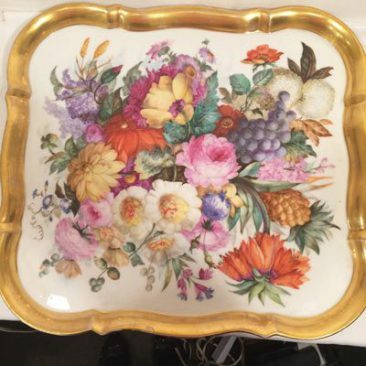 I am a person who loves the work of many of these antique porcelain companies. I love the way they paid attention to detail and the quality of the workmanship of the antique porcelain.Let us take a look at the beautiful hand painting and the gilding that the artists used to do. We will probably never see this type of artistry or quality again except on the beautiful pieces of antique porcelain. The most important thing to remember is that the dinner table was a very important way to bring the family together in a wonderful meaningful way. Let us never forget these memorable meals with our families. This is an important tradition to bring back into our lives. Let us slow our lives down and put down our computers and cell phones and have an unforgetable lovely dinner once again to bring our families together. 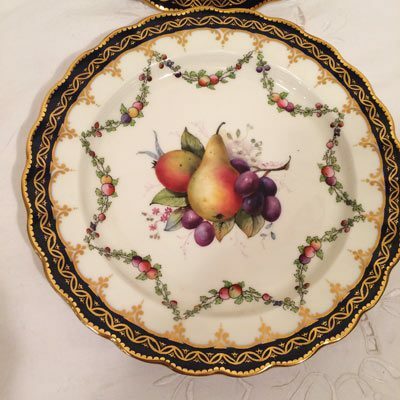 Elegant Findings Antiques searches the world to find these special hand painted antique porcelain plates and dinnerware. 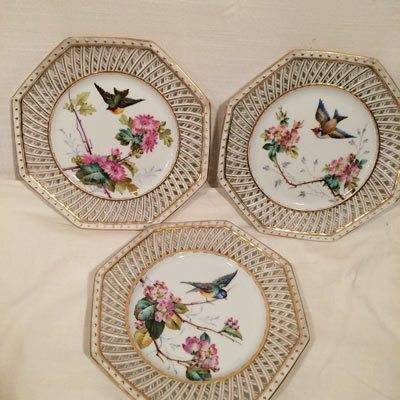 Please visit our dozens of antique porcelain pages to see our extensive selection of antique china and crystal stemware. 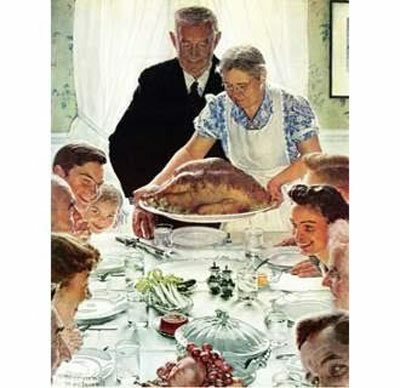 In this way, we hope your family can enjoy special occasions, while having a wonderful warm dinner experience like you see in Norman Rockwell's painting shown below entitled "Freedom from Want".